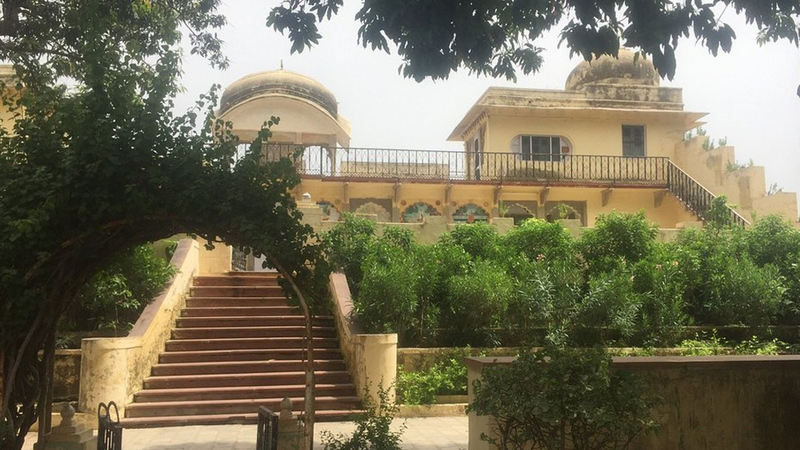 7 Places to Visit in Bundi— Down Into the City of Step Wells in 2019! Bundi is a charming little town with tapering lanes that have blue houses, temples, lakes, hillocks, and bazaars at every bend. The majestic palace complex is a mix of brilliant smaller mahals. 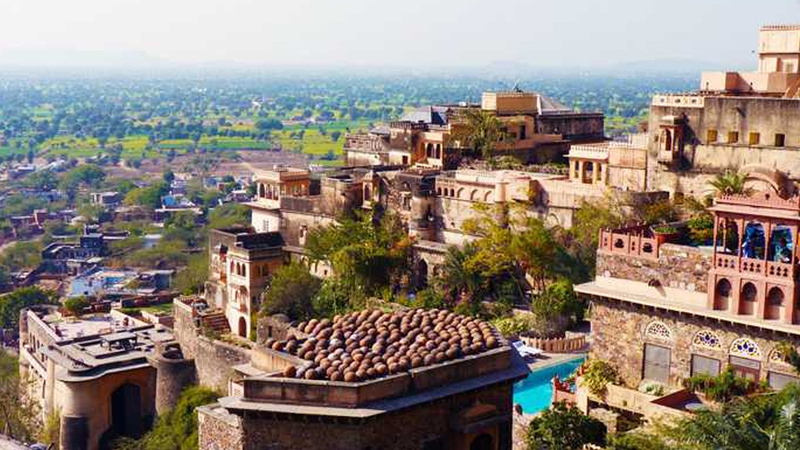 Bundi is the right destination for the weary traveller looking for some peace and quiet; it certainly was to Rudyard Kipling’s liking who lived here for a while. The area that is Bundi was conquered by the Hadoti Chauhans in the 12th century from the Mina and Bhil tribes. Under the Mughals, Kota was seen as the more important kingdom and Bundi was left to its own devices. Today, it is a quaint town that is easily navigable and you can take a stroll to the palace from the main bazaar area. If you’re visiting in August or September, you will get to witness Kajli Teej, a traditional festival celebrating the onset of the monsoon season. Bundi comes alive during this time and travellers get to witness folk dances, and fireworks, unlike any other in Rajasthan. When travellers think of southern Rajasthan, Udaipur is the first city that comes to mind. However, Bundi is all about enjoying an authentic Rajasthani experience minus the touristy crowds of Udaipur. When you do land up, here’s a list of places to visit in Bundi. The Garh Palace is one of the largest palace complexes in the country but it still goes relatively under the radar. You enter via the imposing Hathi Pol (Elephant Gate) that has two stone elephants at the top with bugles at their tusks. This gate is the perfect introduction to the Rajputana architecture of Garh Palace complex. The mahals here were constructed over a period of 3 centuries, making it an explorer’s delight. Chitrashala has the best collection of Bundi murals depicting scenes featuring Krishna and his gopis. Behind Chitrashala lies the Sheesh Mahal (Glass Palace) with exquisite inlaid glass. The Chattra Mahal has a collection of 12 Krishna paintings that are extremely well preserved. The ceiling art of Badal Mahal (Palace of Clouds) is inspired by Chinese culture, and it is shaped like petals and adorned with paintings of peacocks and Krishnas. Badal Mahal has exquisite murals and miniature work and, as its name suggests, offers breathtaking views of the cloud cover and palace fortifications. While in the main courtyard, don’t forget to click a photograph of the 18th century Bundi image. Garh Palace is incomparable to the other places to visit in Bundi. Bundi is dotted with over 50 step wells and the crowning jewel is Raniji ki Baori- a 46 m deep trench decorated with intricately carved pillars and a massive gate. Each below-ground landing contains a place of worship and exploring this step well is a once-in-a-lifetime experience. 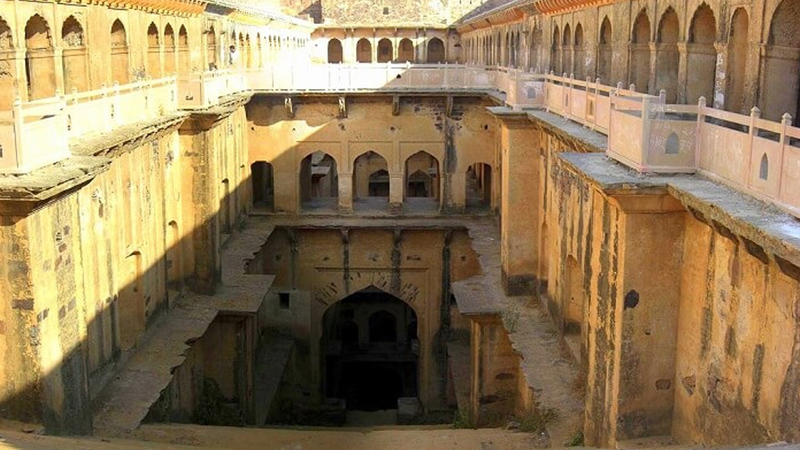 Raniji ki Baori was constructed in 1699 by Rani Nathavati, queen to Maharaja Anirudh Singh of Bundi. The sloping staircases give this step well a haunting, yet beautiful, look. 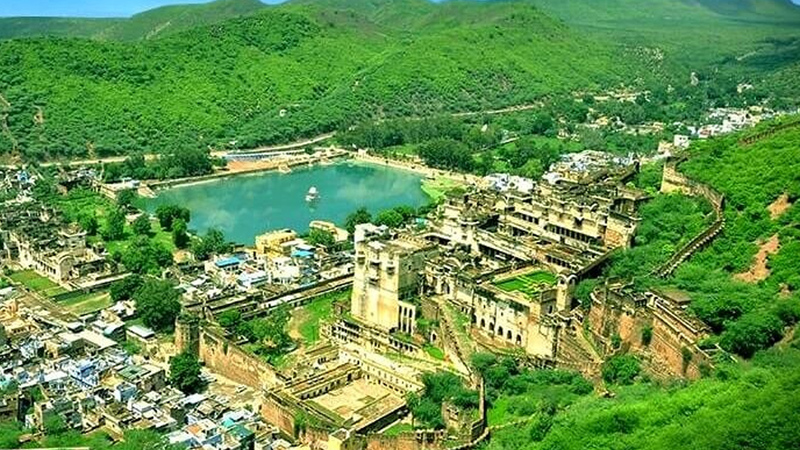 This major attraction is less than 2kms away from Bundi town. This two-storied cosy palace used to be the summer getaway for Bundi royal families. Sukh Mahal sits pretty on the banks of Jait Sagar Lake, with a massive white marble umbrella on the second storey of the palace. Don’t forget to explore the tiny museum and the terraced gardens. Post-monsoon is a great time to land up here as the surrounding lake is partially covered with lotus flowers, adding to Sukha Mahal’s natural aesthetic. The surrounding forest area was the perfect hunting ground for the maharajas back then, and Sukh Mahal was further immortalized when Rudyard Kipling spent his days here writing his celebrated novel, Kim. The cenotaphs all over Rajasthan are mainly dedicated to the kings and queens of old. However, the 84-Pillared Cenotaph, locally known as Chaurasi Khambon ki Chhatri, is dedicated to the wet nurse that took care of Maharaja Anirudh as a child. The umbrella dome stands on 16 short pillars on the first storey, and the lower level is supported by 84 pillars. The intricate carvings on the walls of this memorial include apsaras, elephants and deer. 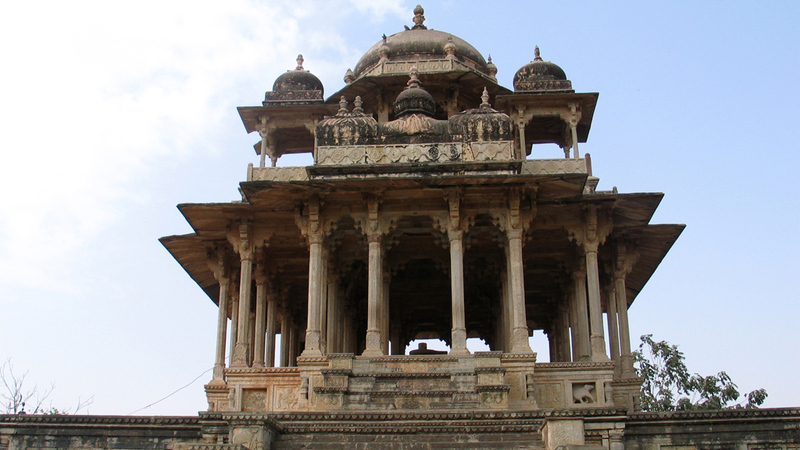 This architectural marvel is a major tourist attraction in Bundi. This sprawling bastion is said to be the first hillside fort in the country! Taragarh Fort was constructed in the 1300s and today much of it is overrun by vegetation. With trees and shrubs sprouting through its stone ramparts, Taragarh Fort is an exciting place to explore, just fifteen minutes from Bundi. Inside, you can explore the massive reservoir carved out of stone and the gigantic cannon seat. Dabhai Kund is a dramatic piece of architecture with intricate carvings surrounding the staircase. Whereas, Nagar Sagar Kund are two identical step wells, that provided relied during the direst months. The beauty of Bundi’s step wells is that they may not look anything great from a distance, but once you start the descent, their beauty grows on you. 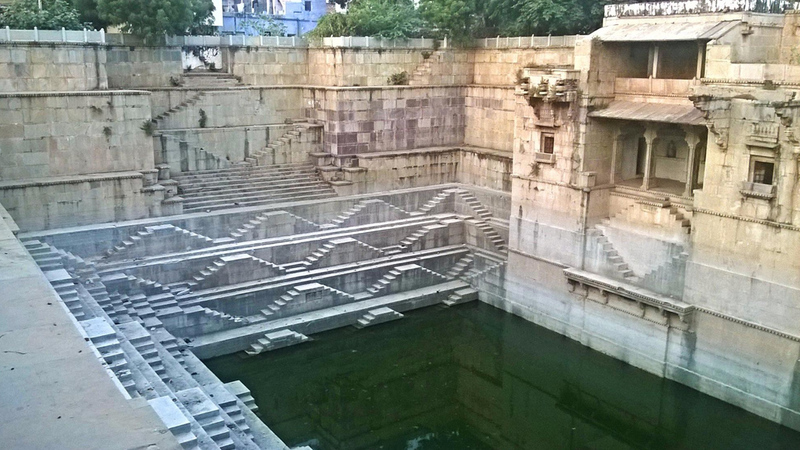 The step wells are the most fascinating places to visit in Bundi. 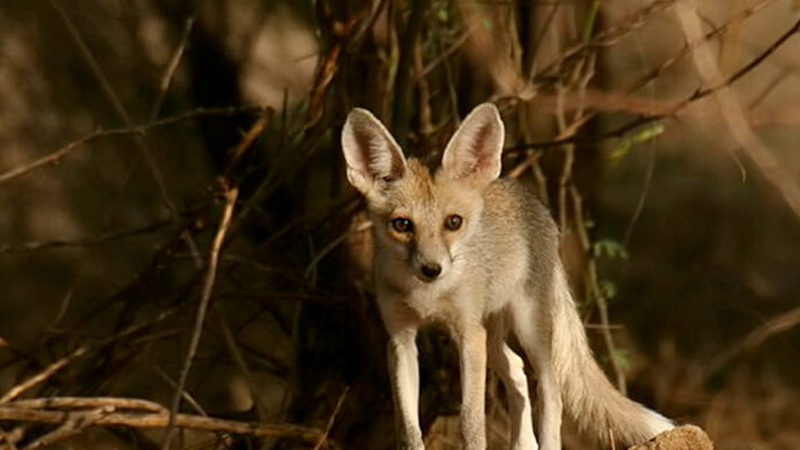 Once you’ve had your share of step wells, end your Bundi adventure with a trip to Ramgarh Vishdhari Sanctuary. Situated 45km from Bundi town, this sanctuary is in the buffer zone of Ranthambore National Park, making it the perfect introduction to the rich flora and fauna of Rajasthan. During your safari be prepared to spot hyenas, foxes, leopards, chinkaras, and a host of other animals in their natural habitat. Ramgarh Vishdhari Sanctuary is spread over 250 sq. km. and is a fitting conclusion to your stay in Bundi. The best time to visit the sanctuary is between September and March.